What kind of protection exists in international law for those people likely to be displaced by the effects of climate change? Well, it turns out, less than you might expect. David Hodgkinson is an Associate Professor of Law at the University of Western Australia. He’s leading a project that aims to draw up an international convention for persons displaced by climate change. He speaks with the Third Degree about a legal framework for climate refugees. 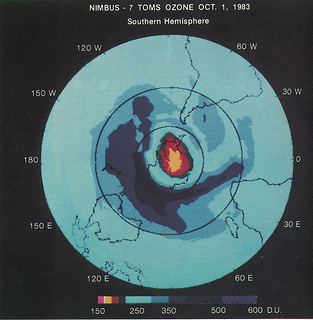 The Montreal Protocol on Substances that Deplete the Ozone Layer has been remarkably effective in coordinating the world’s efforts to reduce emissions of CFCs. Professor Ian Rae is an organic chemist and an honorary fellow of the University of Melbourne. He’s been part of in some of the UN Committees working within the Montreal Protocol framework. He joins Third Degree to talk through how it works, why it’s been a relative success, and what we might learn from its experience.